Scott Marlowe has just released his much anticipated book, Cryptid Creatures Of Florida, and it looks to be a good one. "Friends and Fans: It's now official !! 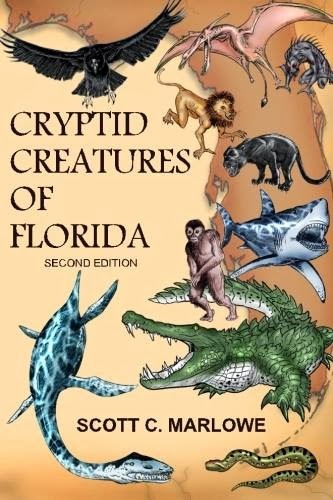 Cryptid Creatures of Florida Edition 2 is now available. My book on the enigmatic animal life you might find here in the Sunshine State has been updated with new information, more photos and illustrations, maps and two new accounts of the Weird, Strange and Unexplained creatures including Florida Three-Toes and the Carrabelle Cat Mystery. The new text adds nearly 100 pages of material to my original realease. Available now at the link below!